The Beech SNB is a US Navy/Marine variant of the civilian Model 18 Twin Beech. Over half of the 10,000 produced from 1937 and 1970 were for to the US Military. Military variants include C-45, AT-7, AT-11, SNB, F-2, and JRB. Uses included light transport, photo-reconnaissance, and navigation, bombing, and gunnery training. Many Twin Beech aircraft survive today after serving post-military as relative inexpensive, reliable light cargo aircraft. N4207 was manufactured by Beech in Wichita, Kansas, 1943 as a Navy/Marine SNB-2, BuNos 67124 (c/n 4664). In 1954 it was remanufactured by Beech and redesignated by the Navy to a model SNB-5P, a photo reconnaissance trainer. In 1962 the Navy redesignated it to a model RC-45J. N4207 was stationed at NAS/MCAS Kaneohe Bay, Hawaii and NAS Pensacola, Florida, both stations being aviation training facilities since before WWII. N4207 was acquired by the Mississippi Wing CAF in 1983, restored to flying condition by 1995, assigned to the Utah Wing CAF, and re-assigned to the Indiana Wing in 2014. The Beech SNB was assigned to our unit after it had suffered a failure of its left engine, a P&W R-985 Wasp Jr. After the Utah Wing CAF assisted us with an engine swap, the Beech was flown to Indiana to start repairs and restoration of a few systems/components as needed. 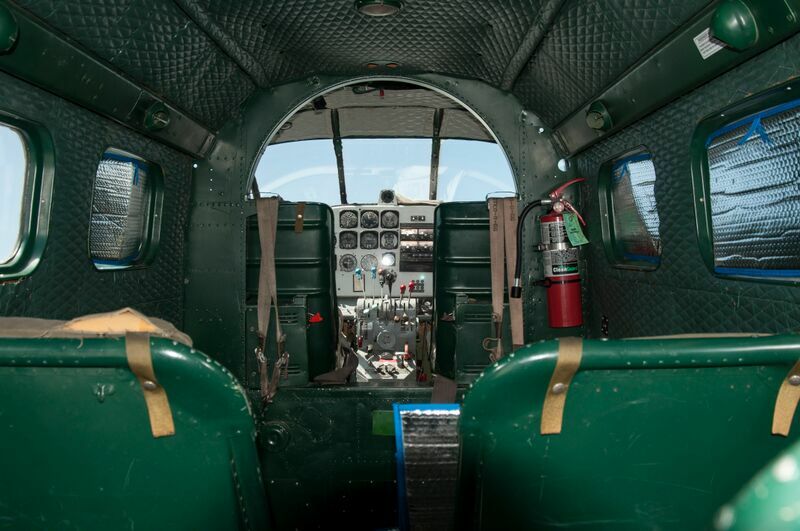 To continue to fly the Beech SNB, we need to raise about $50,000 to rebuild the failed engine and accessories and to overhaul both propellers. We think the Beech SNB will make a great aircraft to fly 5-6 veterans each flight as a way to thank them for their personal sacrifice in serving our country. Your donation will help us accomplish this important mission! The Indiana Wing CAF is a flying museum that maintains and flies a Fairchild PT-26 Cornell and is restoring a twin engine Beech SNB (RC-45J). Member owned aircraft include a Vultee BT-13 Valiant, Stinson L-5 Sentinel, AT-6 Texan, and a Stearman. The Indiana Wing has aircraft based at Indianapolis Metropolitan Airport (UMP) and Kokomo Municipal Airport (OKK). Our annual event is CAF Wings Over Indy held each summer at different airport locations. The event is filled with Living History, Honor, and Fun for the entire family and has three goals: honoring veterans, showcasing warbirds, and inspiring youth. The Indiana Wing has been providing living history education about American Military Aviation since 1978.